Some trips no matter how hard you try, you can see the bird but getting a photo is tough. I was between Sechelt, BC and Wilson’s Creek, BC a lovely area on the Sunshine Coast of British Columbia. We had arranged to meet Alexis, Marci and Kai in this area at 10:30am but the ferry had mechanical problems and we arrived and hour late. 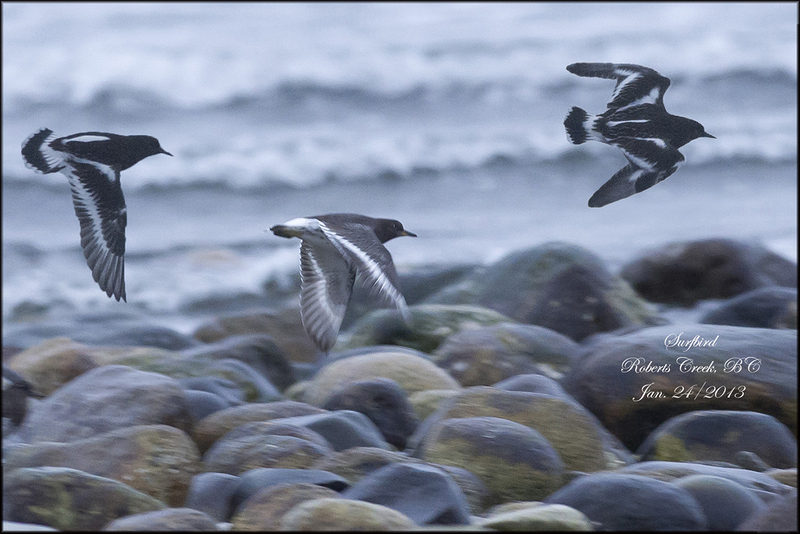 We were taken to all the local spots and had some good birds, Surf and Black Scoters, Scaup, Buffleheads, Common and Barrow Goldeneye, Red and White-winged Crossbills, Wilson Snipe…the list goes on and on. It didn’t rain all day and the temp was 10C, a great day for birding but as we neared low tide the sky got darker and more ominus. Sure enough at 3:30pm the skies opened up and the rain started. We went back to the shoal which was just starting to show, tide was going down, the birds arrived right on time. We got great views through the scope so I tried to sneak out twice, for photo’s but the rain was just to heavy. I tried a very high ISO but no dice…..I will just have to go back. At least I have two more birds for my life list. I really want to thank Lexi (Alexis), who arranged her day to help us find these birds. Also Marcia and Kai for there eyes and ears. If you ever get to Ottawa, I hope I can return the favour. 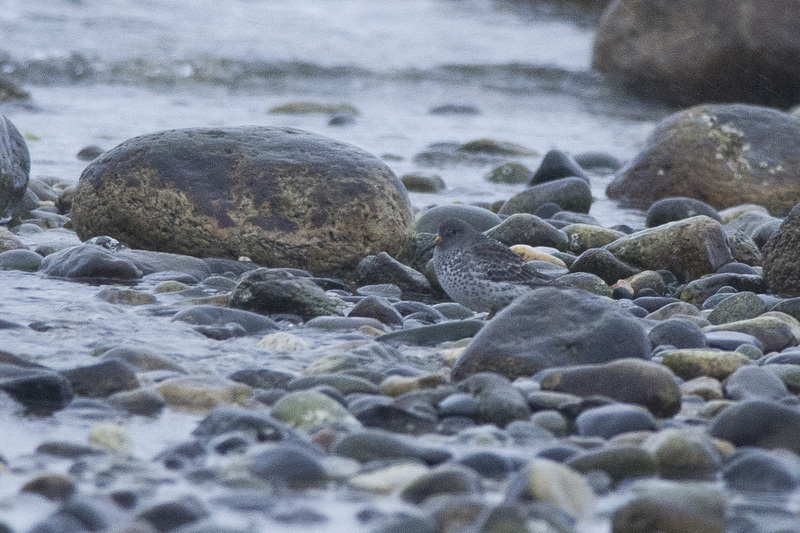 After my trip to Alaska, where I managed to see many Rock Sandpipers in breeding plumage. 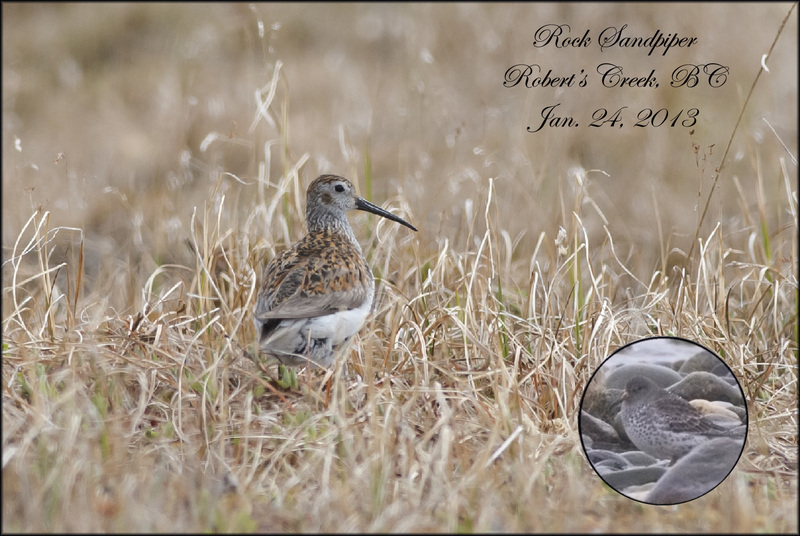 I improved on my Rock Sandpiper image.